Mind metaphysics, or positive thinking, is a fascinating and mysterious field of personal exploration and inquiry. The guiding principle and basic tenet of mind metaphysics is that thoughts are causative, i.e. thoughts — those intangible acts of cognition, attention and intention — can actually shape reality and the material world in accordance with our wishes and desires. With roots in ancient Hermetic traditions, this profound idea made its way into culture, though not without resistance, via the New Thought and Human Potential movements, and more recently, Positive Psychology, as well as myriad incarnations in business motivation and the self-help industry. 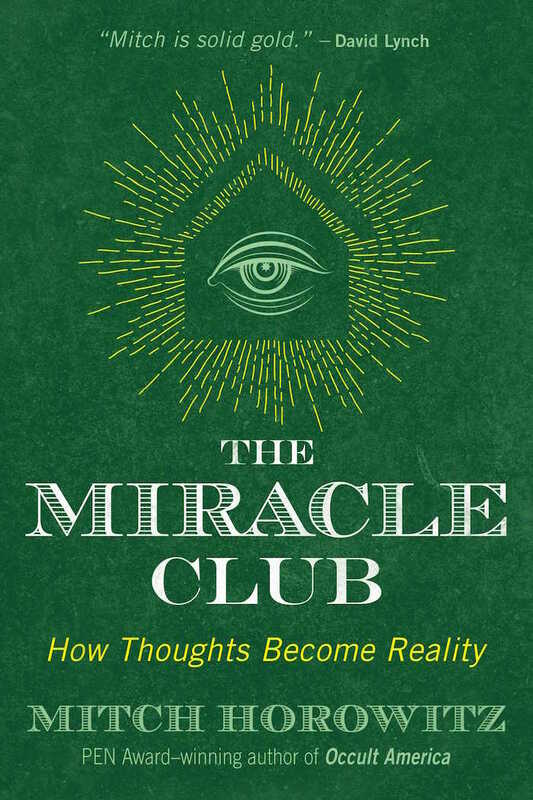 The latest noteworthy work on the contemporary metaphysical scene, already hailed as a modern classic, is The Miracle Club, How Thoughts Become Reality by Mitch Horowitz. A longtime Boing Boing pal, Horowitz is among the most articulate and authoritative voices in the fields of alternative spirituality, occult and esoteric history. He has curated and authored dozens of books, such as the fundamental Occult America: The Secret History of How Mysticism Shaped Our Nation, and One Simple Idea: How the Lessons of Positive Thinking Can Transform Your Life. The Miracle Club is part memoir, part historical map, part "operating manual" for manifesting your true will and your heart's desires. The promise of the book is pretty simple: you can make miracles happen. There's a catch though: miracles ain't free — there is work to do. Consider online banter. The level of invective is bottomless on Twitter, comments sections, and virtually everywhere in the perpetual open-mic night of digital culture. Americans once turned to books like Dale Carnegie’s How to Win Friends and Influence People (1936) to learn how to behave appropriately in professional environments and get things done inside large organizations. (Key insight: agreeable people win.) Yet our generation is almost hostile to the lessons of civility held by the previous one. The original positive thinkers were actually a cohort of mystics, freethinkers, proto-psychologists, and religious seekers in New England in the mid-to-late 19th century. Their movement was often called New Thought, and they believed that thoughts, in some greater or lesser measure, affected health, happiness, fortunes, and relationships. 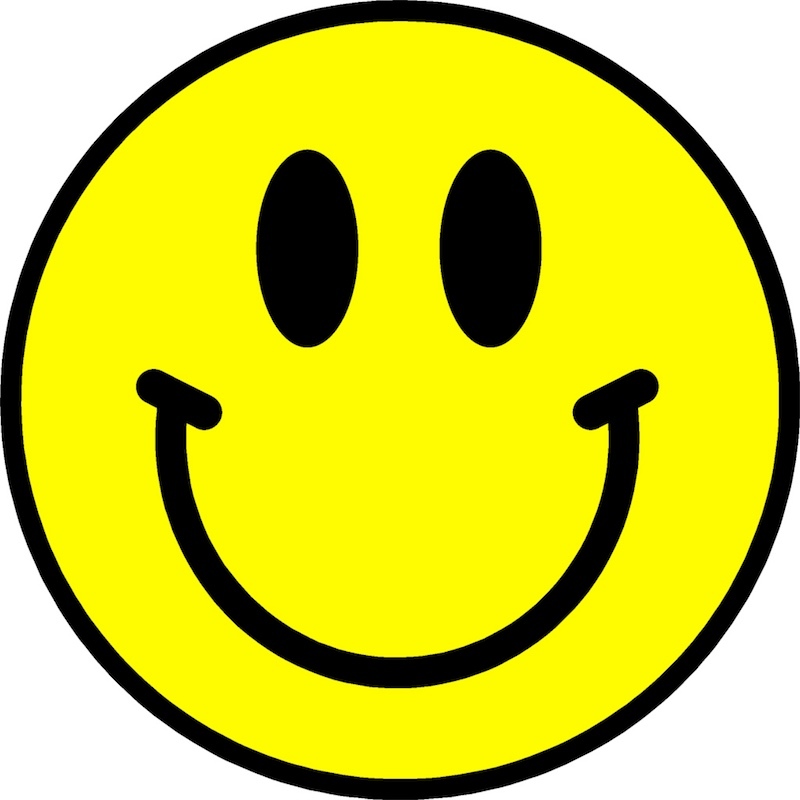 Remember the oft-mocked mantra “Day by day, in every way, I am getting better and better”? It was a confidence-boosting formula popularized in the early 1920s by French hypnotherapist Emile Coué. Although Coué won thousands of followers, critics mocked his method for its singsong simplicity. Today he is forgotten. But placebo researchers at Harvard Medical School recently validated one of the mind theorist’s most important insights. CIA: check out our UFO files! The CIA (the funniest guys ever!) is now taking a humorous approach to its UFO files, releasing reams of info and inviting people to play Agent Mulder for a day. It’s a clever PR move to head off a conspiracy-mania growing out of the X Files reboot. 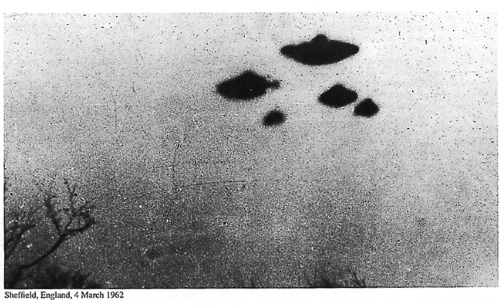 And, actually, it’s a good public service: The CIA has lots of public-domain images of flying saucers, which can save time and money for artists/writers/researchers who want flying saucer and boogodie-boogodie images. On December 21, instead of waking up to fire and brimstone, I woke up and read Mitch Horowitz's “Once More Awaiting 'The End. '” Horowitz looks at our apocalypse fetish and sees a society so jaded with the present it dreams of a break from routine, even if that break is a disaster. He also points out that, as we daydream about crisis, we are doing remarkably little to address real—literally real—issues. I like Horowitz's analysis, but there is more to our fixation on zombies, Mayan calendars, and novels about the Rapture than a desire to escape ourselves. Behind much of the apocalypse talk and the questionably-ironic zombie preparation classes at REI is a sense that something fundamental is out of balance. It may be impossible to articulate but, on a low level, we feel a sense of disquiet. I began thinking about disquiet as I was working on two sprawling radio projects. After recording long conversations with nearly four hundred strangers about the past and present, I began to hear a common refrain rise out of the clamor: the future was scary. Nobody could agree on the cause, but they shared a narrative structure. The real anxieties behind our fascination with apocalysm. Part two of the mini-documentary on the historical occult underbelly of NYC is now online at The Midnight Archive. In this episode, former BB guestblogger Mitch Horowitz, author of the terrific Occult America: The Secret History of How Mysticism Shaped Our Nation, hips us to Theosophical Society founder Madame Blavatsky's midtown Salon and the mystic side of Gran Central Station. Mitch Horowitz: When is a religion a cult? To use the term cult too casually risks tarring the merely unconventional, for which America has long been a safe harbor. In the early 19th century, the "Burned-over District" of central New York state–so named for the religious passions of those who settled there following the Revolutionary War–gave rise to a wave of new movements, including Mormonism, Seventh-Day Adventism and Spiritualism (or talking to the dead). It was an era, as historian Sydney E. Ahlstrom wrote, when "Farmers became theologians, offbeat village youths became bishops, odd girls became prophets...."
Many academics and observers of cult phenomena, such as psychologist Philip G. Zimbardo of Stanford, agree on four criteria to define a cult. The first is behavior control, i.e., monitoring of where you go and what you do. The second is information control, such as discouraging members from reading criticism of the group. The third is thought control, placing sharp limits on doctrinal questioning. The fourth is emotional control–using humiliation or guilt. Yet at times these traits can also be detected within mainstream faiths. So I would add two more categories: financial control and extreme leadership. Digging into these pages, one discovers that Lucky Mojo is not New Age nor Neopagan after all, nor does it represent the current of Caribbean religious syncretism that gives us the urban botanicas that in some ways the site recalls. No, Lucky Mojo’s magical current is closer to home than any of these, and yet almost invisible. That current is hoodoo, although according to Catherine Yronwode, the brilliant and indefatigable woman behind Lucky Mojo, the tradition has many regional names – rootwork, conjure, witchcraft – and for many people remains nameless, as in “that stuff my great aunt did.” Though essentially African-American, hoodoo should not be confused with voodoo or other Caribbean transformations of African spirit possession cults. (If anything, it most resembles Jamaican traditions of obeah, or “science.”) Though hoodoo encompasses a variety of oracular and healing practices, its core moves rely on botanical materials and ordinary household products like soaps and toilet waters, and largely aims for this-worldly results: lottery numbers, love, protection from (or vengeance against) the boss. This pragmatism is also echoed in the tradition’s intensely polyglot syncretism, which fuses African magical styles with streams of, among other things, Cherokee earth ways, Santeria, German folklore, Jewish sorcery, and the popular magic of Scots-Irish immigrants. Hall's concise volume ("The Secret Destiny of America") described how America was the product of a "Great Plan" for religious liberty and self-governance, launched by a hidden order of ancient philosophers and secret societies. In one chapter, Hall described a rousing speech delivered by a mysterious "unknown speaker" before the signing of the Declaration of Independence. The "strange man," wrote Hall, invisibly entered and exited the locked doors of the Philadelphia statehouse on July 4th, 1776, delivering an oration that bolstered the wavering spirits of the delegates. "God has given America to be free!" commanded the mysterious speaker, urging the men to overcome their fears of the noose, axe, or gibbet, and to seal destiny by signing the great document. Newly emboldened, the delegates rushed forward to add their names. They looked to thank the stranger only to discover that he had vanished from the locked room. Was this, Hall wondered, "one of the agents of the secret Order, guarding and directing the destiny of America?" At a 1957 commencement address at his alma mater Eureka College, Reagan, then a corporate spokesman for GE, sought to inspire students with this leaf from occult history. Boing Boing guestblogger Mitch Horowitz is author of Occult America: The Secret History of How Mysticism Shaped Our Nation and editor-in-chief of Tarcher/Penguin publishers. Friends, It has been a pleasure to be a part of the Boing Boing nation as a guest blogger these past two weeks. I hope to stay in contact online and to meet some of you at various gigs around the country, including at the Esalen Institute, where Erik Davis and I will be delivering a weekend workshop on February 19-21 titled "The Occult in America: An Adventure in Arcane History." You can also see me next Friday at 9 p.m. EST on a Dateline NBC special about Dan Brown's The Lost Symbol. The Kybalion by "Three Initiates"